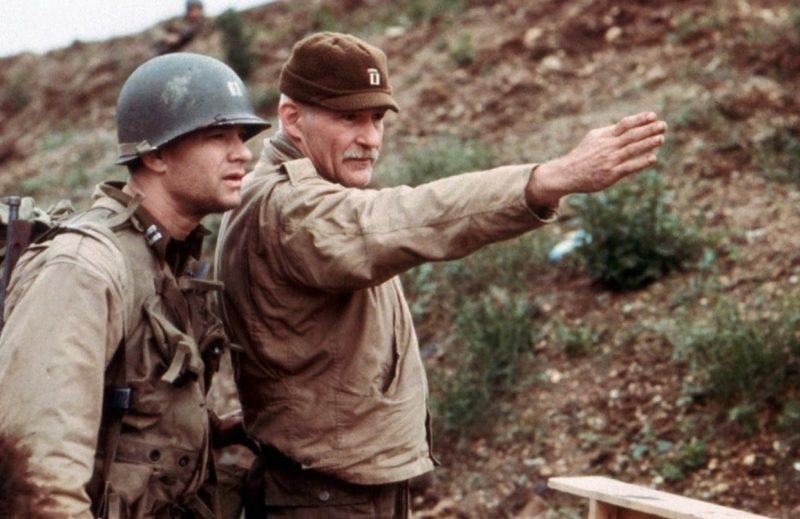 Tom Hanks has teamed with war movie legend Dale Dye as Executive Producer on No Better Place to Die, a film that will detail the airborne assault on D-Day in the same hard-hitting fashion as Saving Private Ryan did for the beach landings in Normandy. Both Dye and Hanks worked together on that epic and they will mirror those dramatic sequences with the new project that focuses on paratroopers and glider-borne infantry that preceded the surface assault. The veteran actor is also slated to do a role in the new film. Dye will direct from a script he wrote that tells the story of a small band of paratroopers who seized and held a crucial bridge and an adjacent causeway to prevent German forces from counterattacking the landing beaches. It has been called one of the bloodiest infantry fights in modern history and many experts have claimed the defense of La Fiere bridge for three crucial days in early June 1944 saved the Allied forces coming in by sea from annihilation. The paratroopers who held this vital river crossing were reinforced by glider-borne infantry and Dye says he will thoroughly explore this unique – and often fatal – method of getting soldiers into the fight. Dye has committed to using as many genuine military veterans as possible both behind and in front of the cameras in shooting No Better Place to Die. The film is currently in development and is slated for release to coincide with the 75th Anniversary of D-Day in June 2019. Dye and Hanks have a long-standing personal and creative relationship, dating back to 1994’s Forrest Gump. They’ve memorably worked together on several other films and television programs, including Saving Private Ryan, Band of Brothers, The Pacific and Larry Crowne. Dye, author of twelve published novels to accompany his long movie resume, most recently completed work on The Yellow Birds. He has been military advisor, actor, consultant or 2nd Unit Director on nearly 50 motion pictures and television shows, such as Platoon, Alexander, The Thin Red Line, Born on the 4th of July, JFK, Tigerland and The Last of the Mohicans. Additional producers on No Better Place to Die include Bonnie Hlinomaz, Larry Terenzi, Scott Levy and Travis Aaron Wade. All are either military veterans or relatives of WWII veterans. CAA and Gersh will arrange financing for the film and represent its domestic distribution rights.